For Miss Cordell, principal of Persephone College, there are two great evils to be feared: unladylike behavior among her students, and bad publicity for the college. 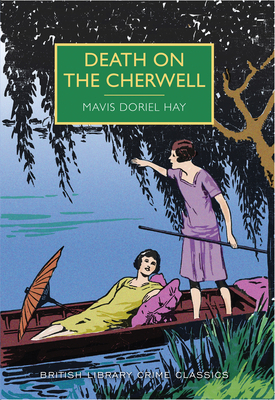 So her prim and cozy world is turned upside down when a secret society of undergraduates meets by the river on a gloomy January afternoon, only to find the drowned body of the college bursar floating in her canoe. The police assume that a student prank got out of hand, but the resourceful Persephone girls suspect foul play, and take the investigation into their own hands. Soon they uncover the tangled secrets that led to the bursar's death -and the clues that point to a fellow student. This classic mystery novel, with its evocative setting in an Oxford women's college, is now republished for the first time since the 1930s, with an introduction by the award-winning crime writer Stephen Booth.